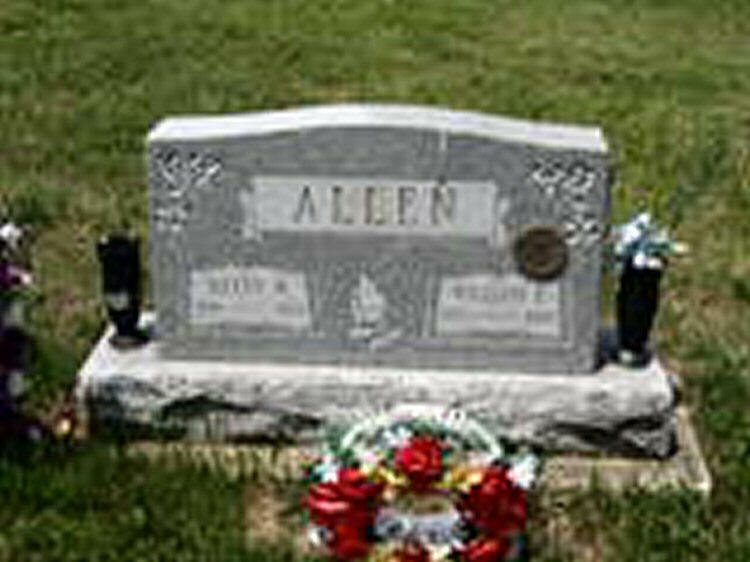 Grave marker for William E. Allen in the Cedar Hill Cemetery, Trotwood (Montgomery county), Ohio. William enlisted in the Army at Columbus, OH on 15 April 1943 and became a member of Hq 3rd. Pvt Allen participated in the jump into Normandy on 6 June 1944 and was captured that same day. He was liberated from Stalag 4F the following year.